Australia is a big country, with lots of storage space. A big country demands a big toy. A really big toy. In 1979 that demand was meet by the good folks at Mattel when they unleashed 24 inches of the biggest arse-kicking missile-packing robot that the kids of Australia had ever seen- The Shogun Warriors. 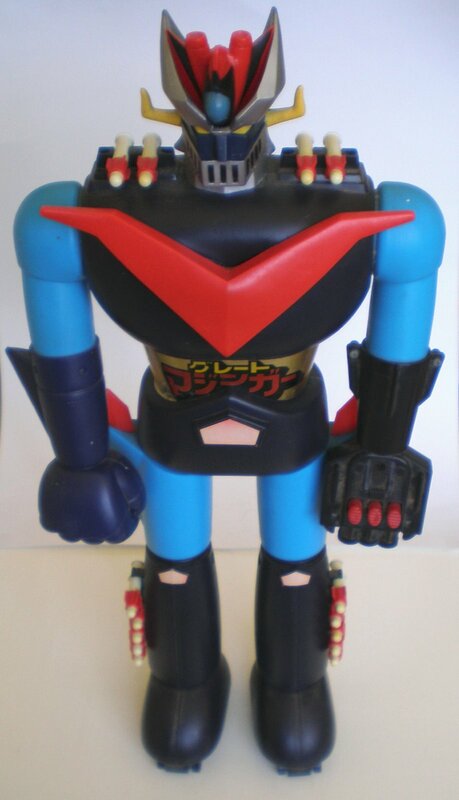 Sure they were watered-down versions of the legendary Japanese Jumbo Machinders, but we didn’t know that at the time. All we knew was that something had arrived to stomp on our Deetail toy soldiers and Airfix models in accurate mega-robot scale. Oh, and they could shoot their missiles clear across the room. Oh yes. It’s ironic that it has been Mattel in recent times that has been forced to recall toys because of lead paint and other safety issues. When we were kids a toy just wasn’t worth having unless it was double dipped in lead paint (or contained other toxic chemicals!) and able to maim from six feet away, as the Shoguns could. These babies took the cake on missile power, Godzilla’s power-punch fist is legendary still today, I took one in the solar plexus at a toy fair a couple of years ago, it’s not something I like to talk about. The first type of missiles packed with the Shoguns were of the ‘red with white fins’ (or vanes) variety. Some keen beans noticed however that pictured on Gaiking’s box were mysterious ‘white with red fin’ rockets. Strangely though when you opened that box you just received the plain old red ones. So were did those rockets go you ask? 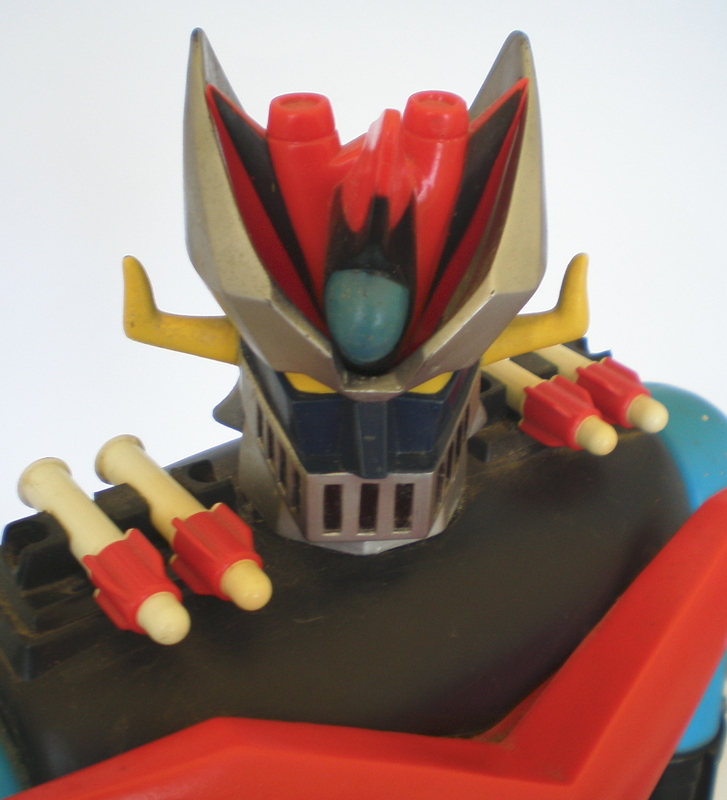 It appears that a small number of early release Mazinga’s did in fact receive a full compliment of 14 white rockets. They pop up very occasionally in the collector’s market today, the example pictured here was bought at retail in Australia (Tasmania to be precise) in ’79 or 80. 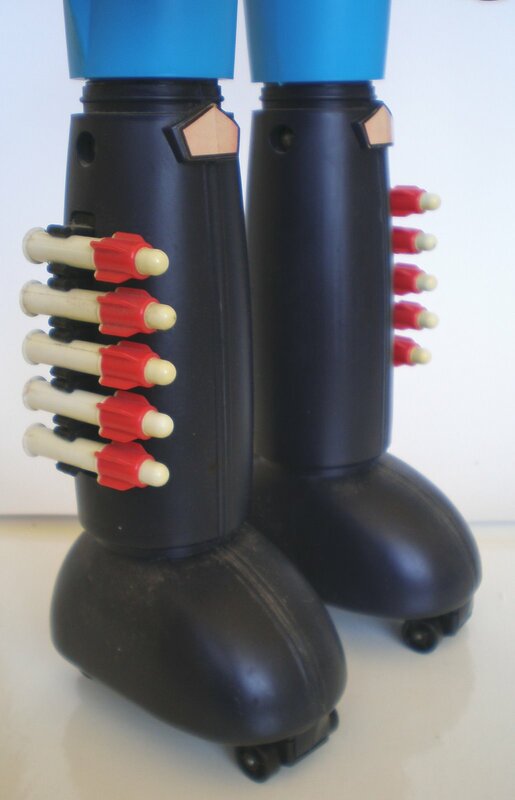 I’m glad I’ve started writing about Shoguns, they really are one of my all-time favourite toys and I plan to blog a fair bit about them before my time is done here. I even donated a late release Mazinga (sans rockets) to my kids to take on Barbie, never has such an evil looking toy been so loved.